All of our NARI Certifications are kept up-to-date. This image is of the framed certificate that we have in our office. 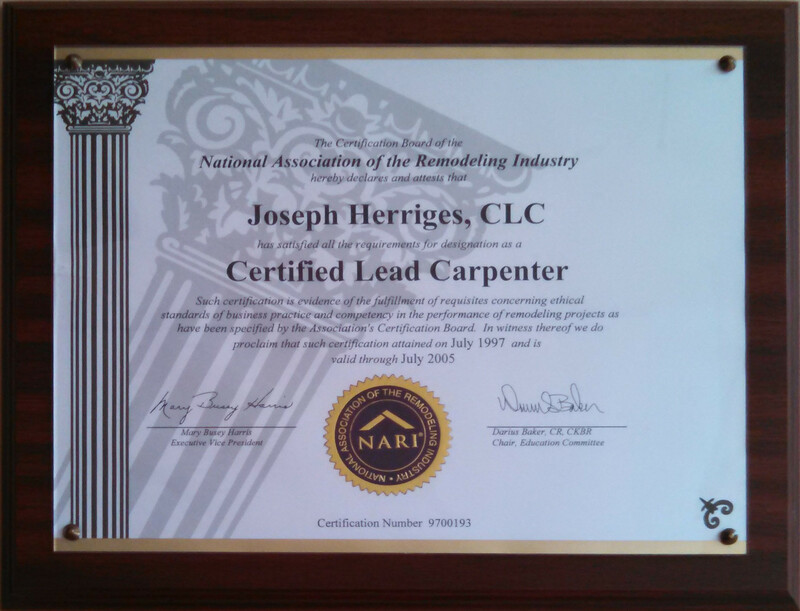 NARI Certified Lead Carpenters (CLCs) are the hands-on field personnel who oversee every aspect of the project: customer satisfaction, personnel management, administration, etc. while working on the project.